"Only those who have been to Dhofar can fully appreciate the severity of the conditions in which the polyglot force fought and flew; at times extreme heat; at others cold, wet, permanent cloud and rugged terrain, the equal of which it would be hard to find anywhere...Those who fought there, including those who were wounded or died, did not fight in vain." More than 40 years have passed since Britain fought a secret war in Oman. Former Major Nicholas Ofield has returned for the first time since the conflict to retread his battlegrounds with his son, filmmaker Tristan Ofield. This blog contains excerpts from the production diary Tristan kept during filming. Be sure to click the "recommend" button when it pops up during watching. Further information about the film can be found at the links below. We regret that Operation Oman is currently unavailable in the USA. Operation Oman is now available for pre-order! The feature length film is available to pre-order today on Vimeo. • The Operation Oman Documentary. • Interview with Director Tristan Ofield. • Three bonus interviews with the documentaries subjects, Major Nick Ofield, Major Mike Austin and Colonel Mike Ball. • Q&A session with Tristan and Nick Ofield. Filmed in front of a live audience at the Broadway Cinema in Nottingham (one of the sold-out screenings we held for the Royal British Legion). • An open letter to Oman. • Production Photographs including content from the Oman conflict. Sadly, at present, the film is not available in the U.S. territories. 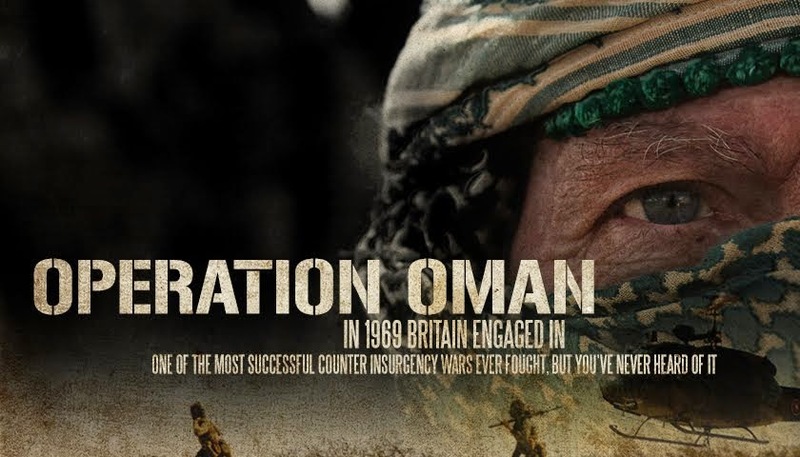 The second public screening of Operation Oman is taking place at the Broadway Cinema in Nottingham, Sunday 16th, 12:15pm. Tickets are £8. Proceeds from the screening will be going to the Royal British Legion. Colonel Mike Ball, British Armed Forces, explains the unnerving reaction to mortar fire. We've set up a YouTube channel. In the build up to the documentary being completed we will be releasing short interview clips. In this clip Colonel Mike Ball, British Army, talks about a war that was a little piece of magic.